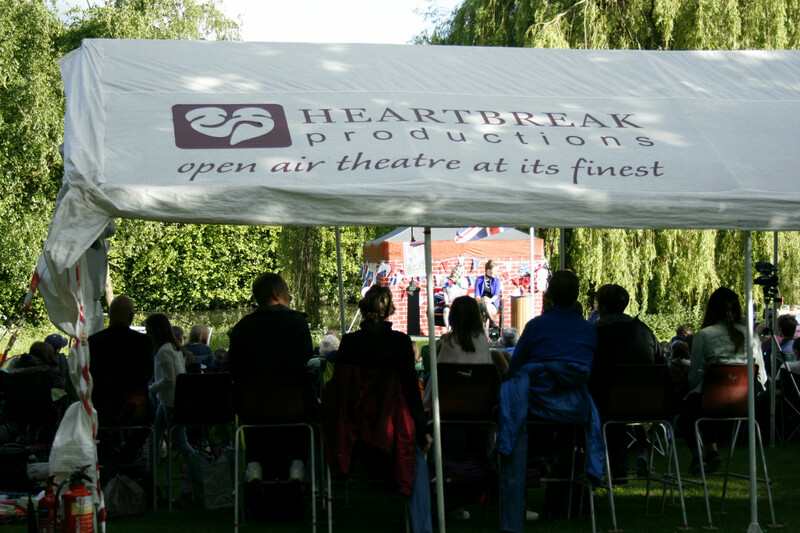 As a marketing intern working with Heartbreak Productions over the summer, (greetings everyone, I’m sure you’ll be hearing more from me! 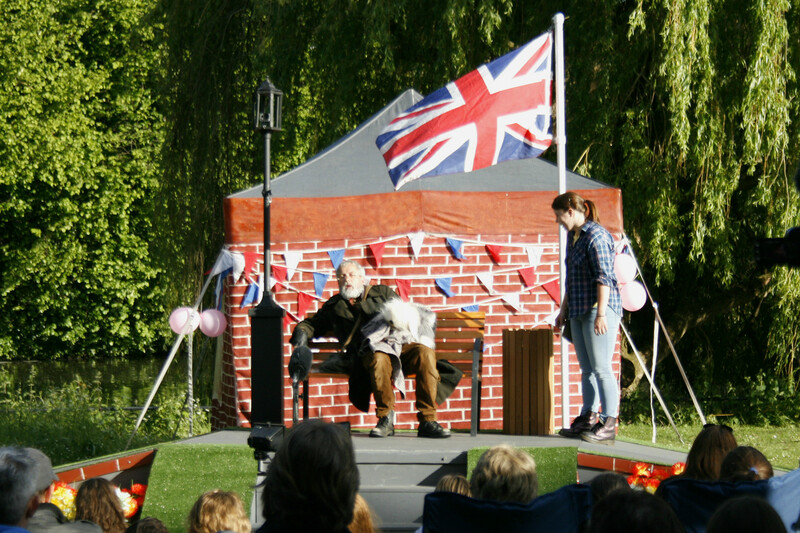 ), I was invited to the opening night of Mr Stink in Jephson Gardens. 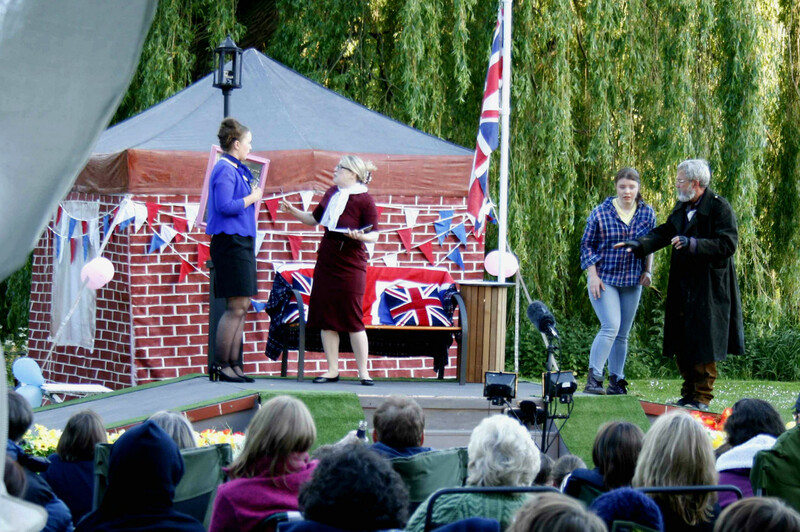 I had no previous knowledge of Heartbreak – unless you count the information I acquired scouring their website before my interview – so the open air theatre experience was completely new to me. It was a wonderful evening from start to finish. 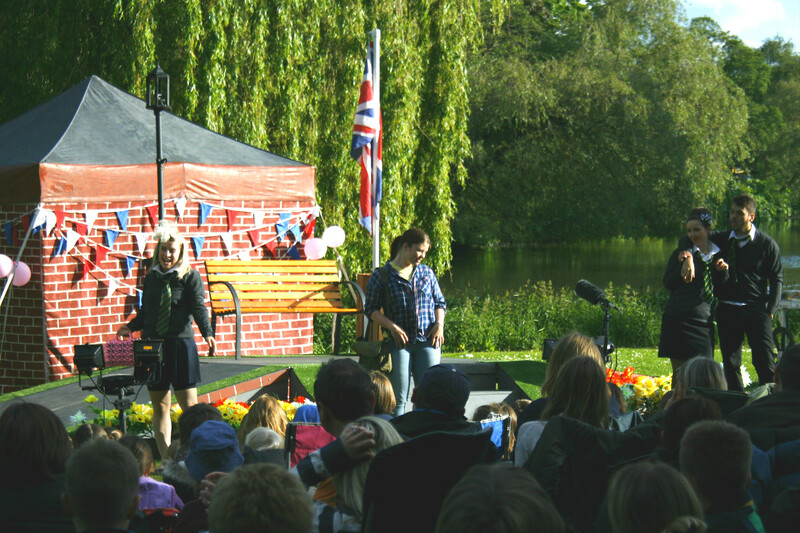 Our prayers were answered as we were finally granted some nice weather, meaning a sizeable turnout for the show. 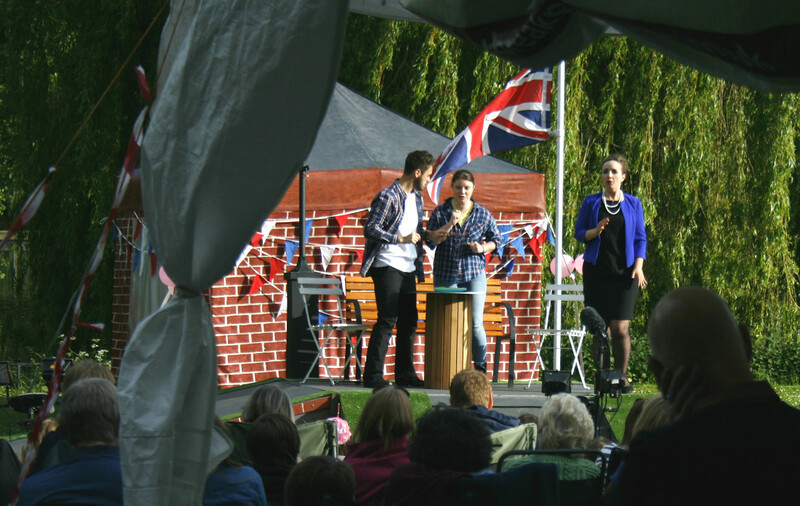 This made for a great audience as people old and young gathered by the river to sit back, relax, enjoy their picnics and be entertained. And entertained we were! Singing, dancing and acting merged to showcase a variety of talents. 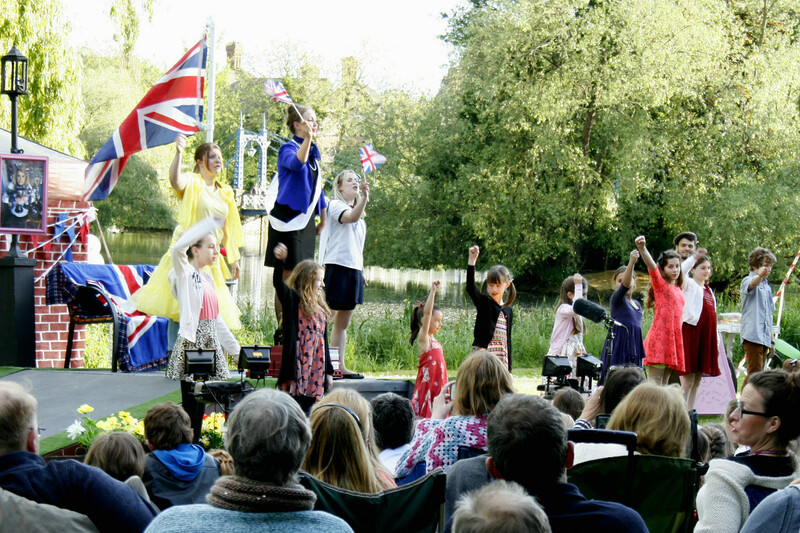 I thoroughly appreciated the element of audience interaction and participation – a particular hit with the children, of which there were many. What stood out the most was the delicate balance struck between humorous scenes involving Reg, emotional ones between Chloe and Mr Stink and spirited musical numbers, particularly “Vote Crumb!”. At the heart of the show lies a touching, up-lifting message of acceptance and love and I couldn’t help but smile as I walked away. Trust me, it’s worth seeing so check out the listings in the gallery above. Tickets for Jesmond Dene, The Botanical Gardens, Sheffield. Temple Newsam, Fletcher Moss Botanical Gardens and Shugborough are all available to buy on this website.